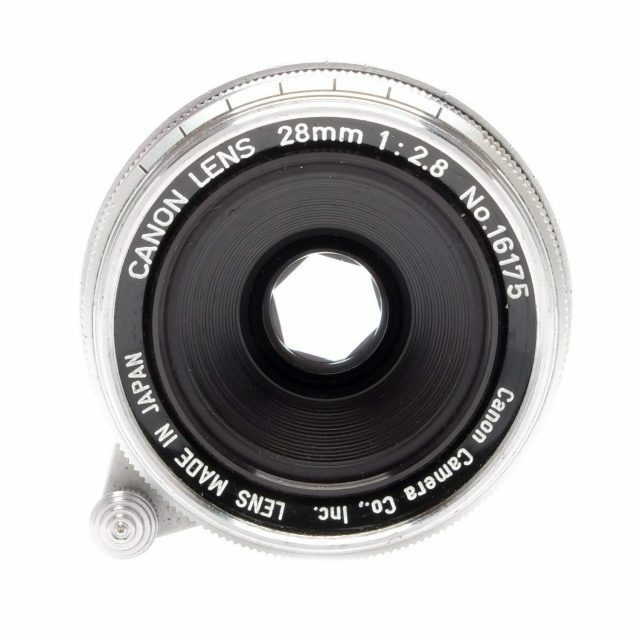 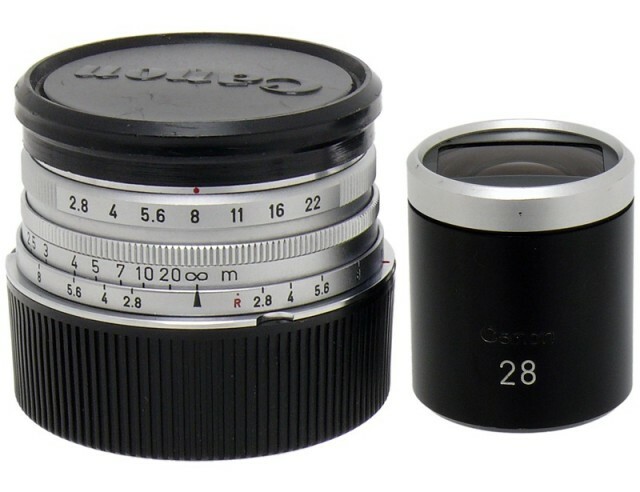 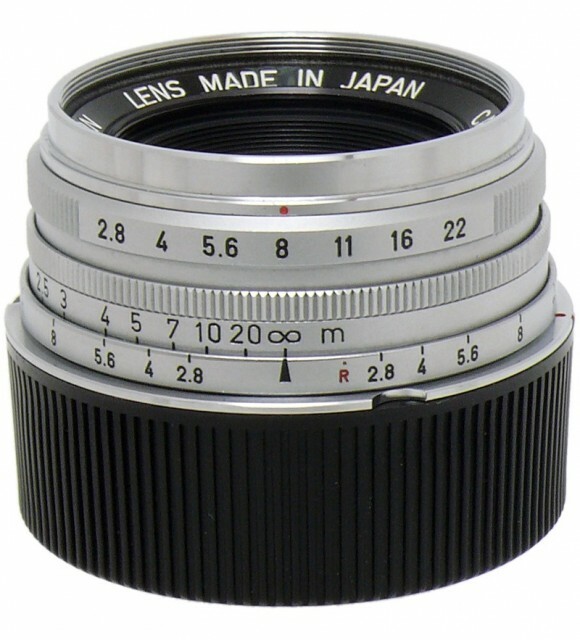 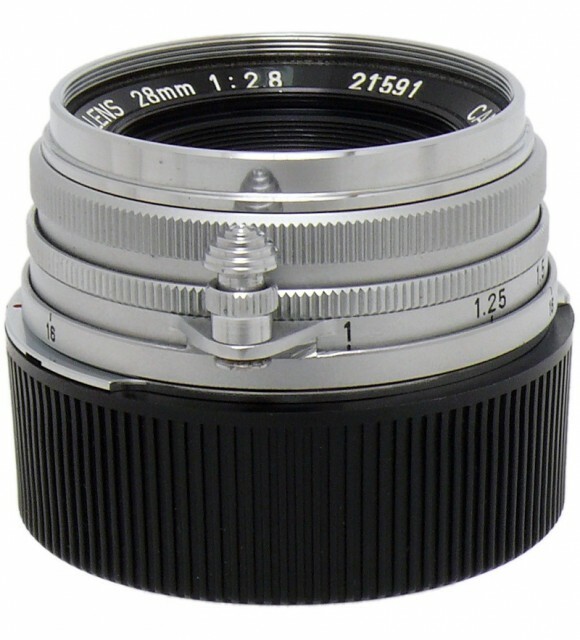 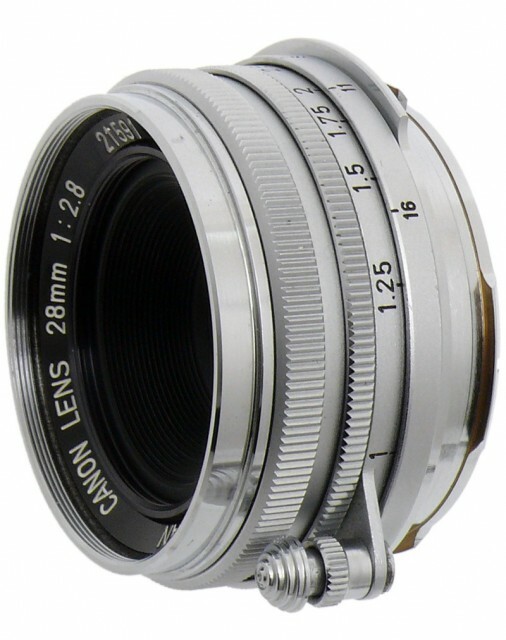 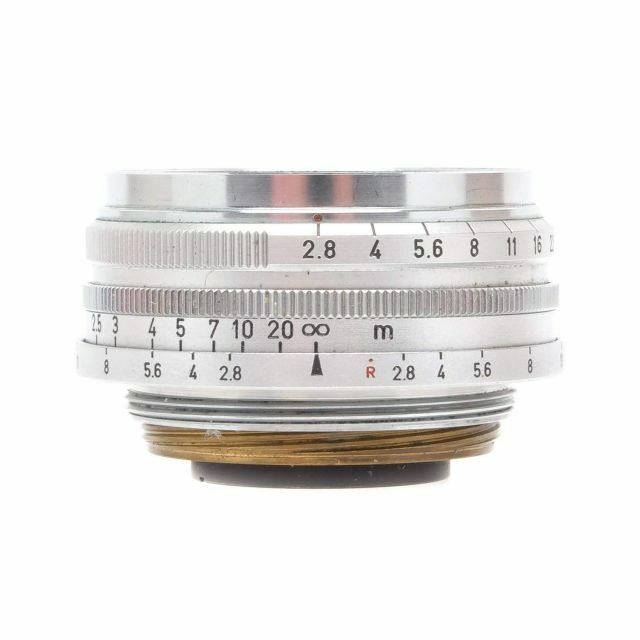 This lens was developed from Canon's original classic, the 28mm f:3.5. 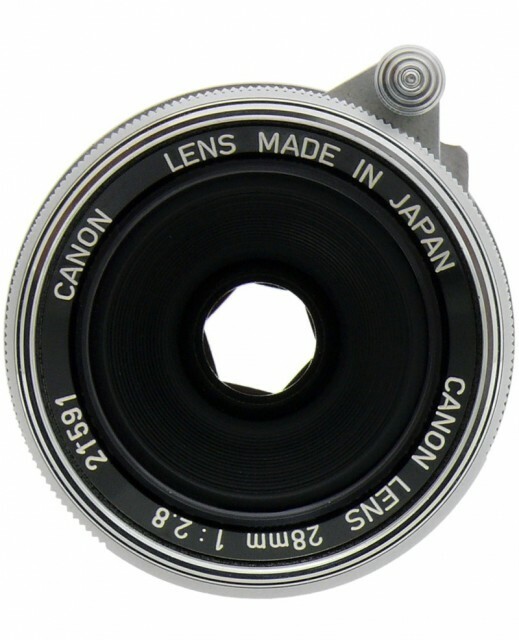 After four years of intensive study, this new lens was introduced which is two times faster than any other commercially available wide-angle lens of similar focal length. 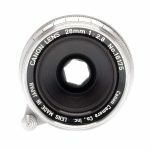 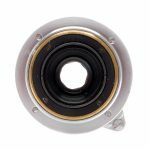 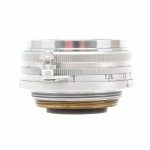 This Gauss type lens has all the superlative qualities of its predecessor plus that added speed which makes it so perfect for available light photography. 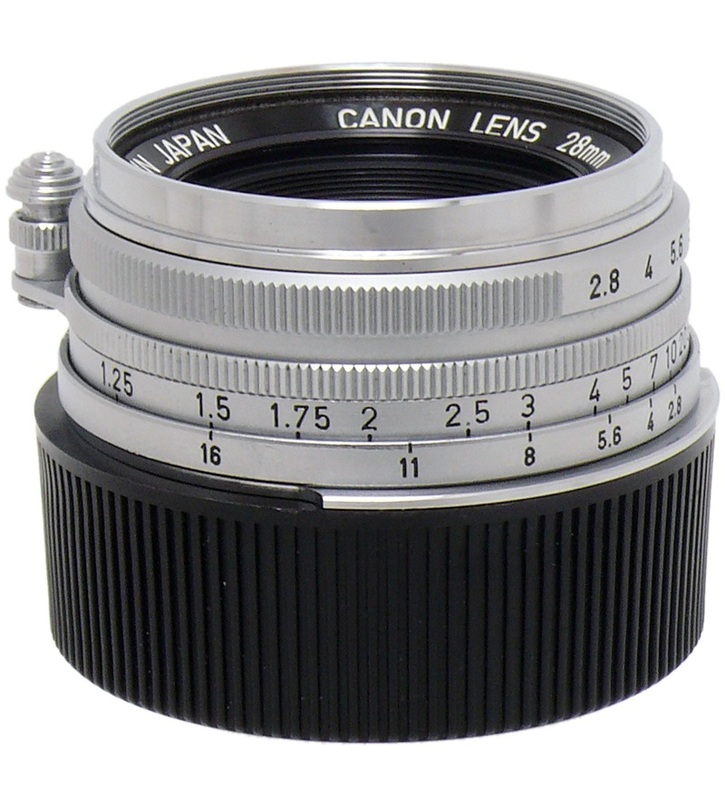 This lens is almost completely free of coma and other types of aberrations. 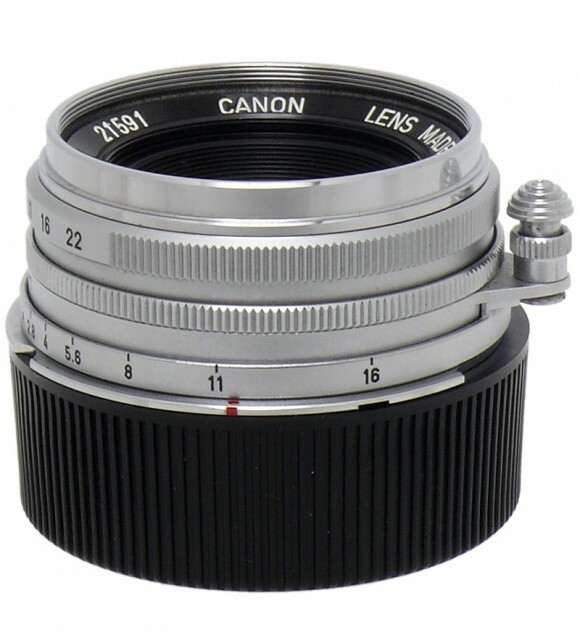 No lens hood is necessary and 40mm Series VI filters are attached with an adapter ring and adapter ring insert.